Photo courtesy of Austin Rehl MRI scans of Dallin Rehl's head in January showed doctors that a mass the size of a baseball had grown and put pressure on the right hemisphere of his brain. JANELLE PATTERSON The Marietta Times Dallin Rehl, 18, of Marietta, plays “Odyssey,” a personal composition, on a piano at Veritas Classical Academy Friday—one week after having brain surgery. Photo courtesy of Austin Rehl MRI scans of Dallin Rehl’s head in January showed doctors that a mass the size of a baseball had grown and put pressure on the right hemisphere of his brain. 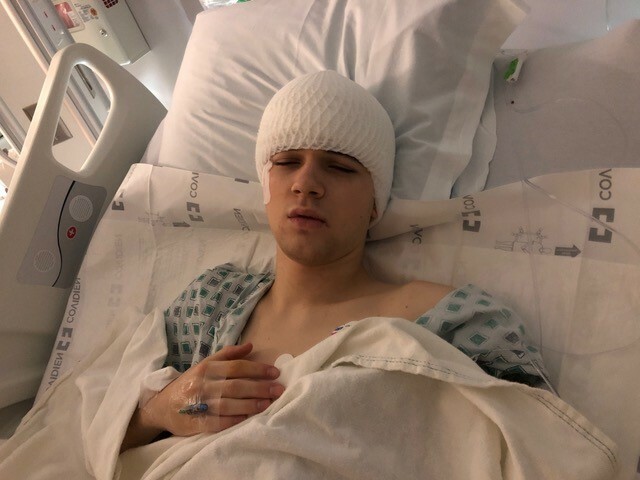 Photo courtesy of Austin Rehl Dallin Rehl rests immediately after brain surgery on Feb. 1. There was no bargaining with God, as the surgery dragged on. “I think it was just realizing if this is what’s required of me, I’ll do it,” explained Austin Rehl, of Marietta. He has watched his son Dallin’s trial unfold and calls it a real test of faith, starting first with headaches and numbness last fall but then the diagnosis on Jan. 23 of a tumor the size of a baseball in Dallin’s brain. He likened it to the test of Abraham, commanded to sacrifice his son. Austin was facing the prospect on Feb. 1 that his son would not wake up from brain surgery. 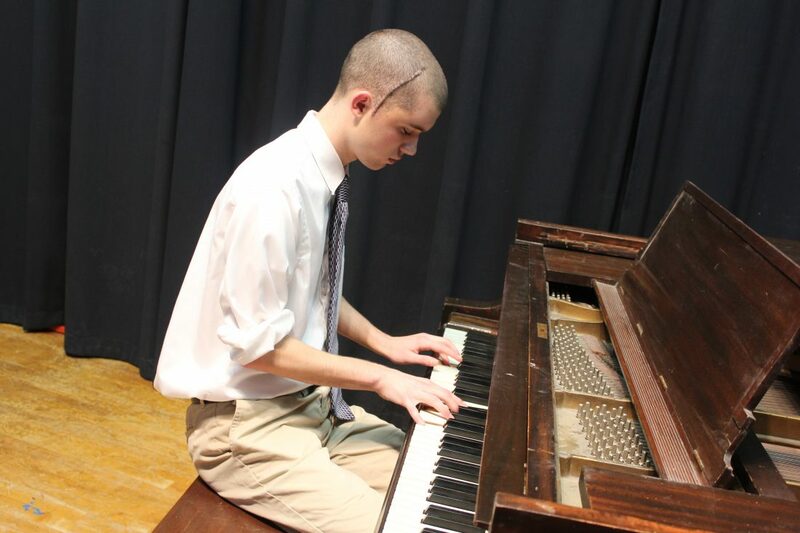 But Friday, a week to the date of Dallin’s surgery, Dallin, 18, was playing his own composition, “Odyssey,” on a baby grand piano at Veritas Classical Academy, where he attends school. 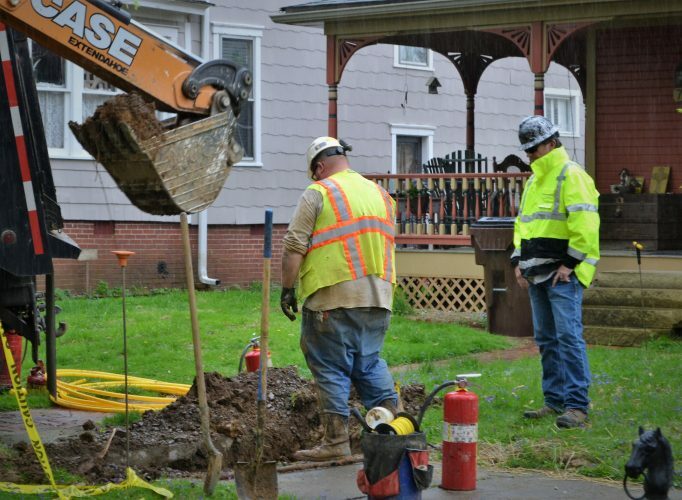 He said it would happen periodically, once every couple of weeks. JANELLE PATTERSON The Marietta Times Dallin Rehl, 18, of Marietta, plays "Odyssey," a personal composition, on a piano at Veritas Classical Academy Friday—one week after having brain surgery. But then last month a family friend who is a surgeon heard about Dallin’s symptoms and suggested that just for reassurance the family take Dallin to get an MRI of his brain. The images were sent to the friend, but life carried on as usual. “Dallin had an activity to lead that evening and we went,” explained Austin. But on Jan. 23, the father got a call which stopped him short. When Dallin returned home from school, he was called into his parents’ bedroom. And maybe that initial unease, the question of whether to joke, has helped Dallin cope and recover. “It’s never really been real to me, and was a little scary with that vagueness at first,” he continued. The danger started to set in a few days later after a trip to Nationwide Children’s Hospital in Columbus. “After we met with the doctor there, we stayed at my uncle’s in Columbus that night, and I had the most painful episode to date that night,” Dallin recalled. “He said ‘Dad, don’t let me get a hold of anything sharp,” added Austin. Dallin explained that the location of the tumor was applying pressure to the parts of the brain associated with motor control and judgment. Austin said the pair slept near each other on his brother’s couch that night, the father’s hand clasped around his son’s wrist. And quickly appointments were made to remove the mass before irreparable damage was done. “Dallin was on every prayer roll of every church in the Mid-Ohio Valley, I believe,” said Austin, noting his gratitude in the support of friends, family and colleagues who reached out in support as they read Austin’s social media updates on Dallin. Dallin spent his time before surgery on Keppra, an anti-seizure medication, feeling tired and slow but not angry at his circumstance, just worried what may change. He said he never worried or thought he might die. At the Ohio State University Wexner Medical Center on Feb. 1, Dallin and his parents were prepared with a plan. Preparation took a little longer than the first hour planned. Dallin joked it was because he asked them to shave his whole head. “I didn’t want that half done,” he smiled. But after the four hours where both Austin and his wife Wendy busied themselves with work in the waiting room, the unease began to grow. They were planning on one hour of preparation, two hours of surgery and one hour of recovery. Platitudes didn’t comfort the parents at that point. The surgeon explained that he was able to remove 95 percent of Dallin’s tumor, but was worried about the proximity to major blood vessels and that any more removal would put Dallin at risk of a stroke. Despite 5 percent of the tumor left in the tendrils of his brain, Dallin left the hospital 40 hours later on his own two feet. And Dallin’s plans for a church mission and higher education are back on track. Austin said it confirmed his faith, too. • Headaches and numbness began last fall. • Then there were brief episodes with a loss in motor function and facial drooping. • This was followed by severe pressure inside his head. • Difficulty thinking and/or speaking. • Tingling on one side of the body. • Stiffness on one side of the body. • Fatigue and muscle weakness. 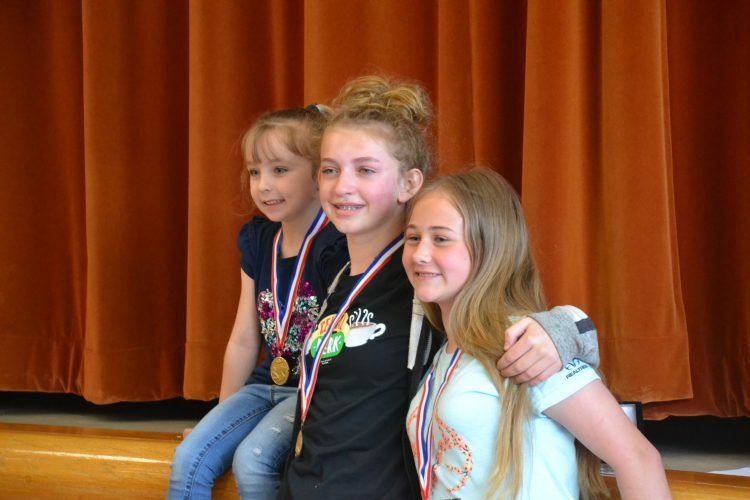 Source: National Brain Tumor Society and the Rehl family.